Reverse Sear What Is It? Home » Reverse Sear What Is It? After talking with a few folks there seem to be 2 schools of thought here. 1. Do a sear on your meat then smoke it. 2. Smoke your meat, and then do your sear. Here is what I have learned. There are 100’s of ways of doing this and your steak houses use both methods indoors. We are going to do this outside on pellet grills because I hear folks say that you can’t sear a steak on a pellet grill. Wrong, these are 2 ½ inch thick sirloins done using both methods on some of my pellet grills. A reverse sear is when you smoke your meat first then finish it off with a hot quick sear. There are two ways to do the finishing sear. 1 is with a cast iron griddle or skillet, the other is using grill grates. You can use either; I did both here to show you. Using grill grates you get the diamond grills marks or as I call them flavor bars. On a griddle the whole steak caramelizes and turns that beautiful mahogany brown. This process is known as the Maillard reaction and is responsible for the savory flavor and beautiful mahogany brown color of roasted meats. 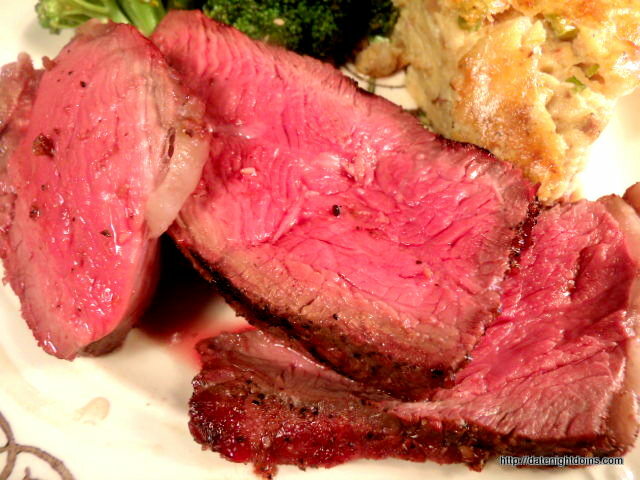 This process is best for large cuts of meat this sirloin was 2 ½ inches thick. We want to smoke our steaks at 250 degrees (122c) until we reach an internal temperature of 120 degrees (48c) about 45 minutes. You can wing it with your temperatures if you don’t have anything to check with. Man has been cooking for 1000’s of years without any kind of thermometers. But, I like more control especially with the cost of good meat. On this cook I used Maverick’s Ready Check for a real time reading. Then the PT-100 for instant read (Our Store) and the laser for checking the Grill Grate/griddle temps. When your steaks reach 120 degrees (48c) pull them and let them rest as the grill grates and/or griddle heat up. I set my grills on 500* (260c) for this and was screaming hot in 10 minutes. We’ll do the Lodge Cast Iron Griddle 1st. I did this steak for two minutes per side, these were almost medium rare. If you like it cooked more just add a minute or two to your cooking time. My cast iron griddle temp was 500* (260c)..
Now let’s look at the grill grates, keep in mind these can be the grates your grill comes with but I like the way these cook. This is a Cut of Both, Let’s Eat!